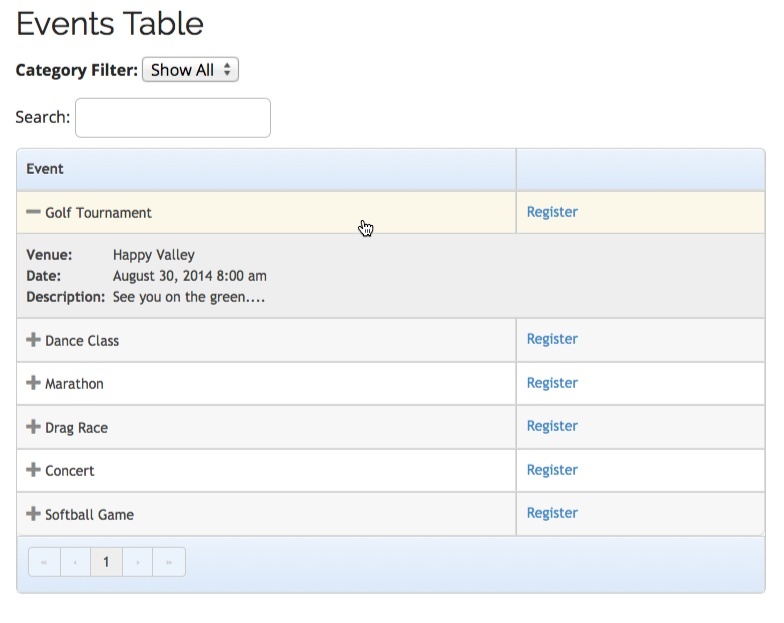 Need to Buy a Support License for the Events Table View Template Add-on? 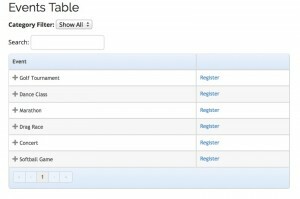 Download the latest version of the Events Table View Template add-on from your Event Espresso account. 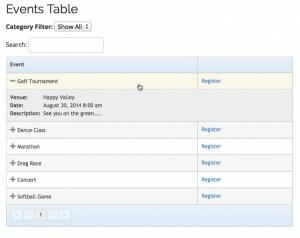 The Events Table View Template add-on can be used by adding a shortcode to a WordPress page or post. 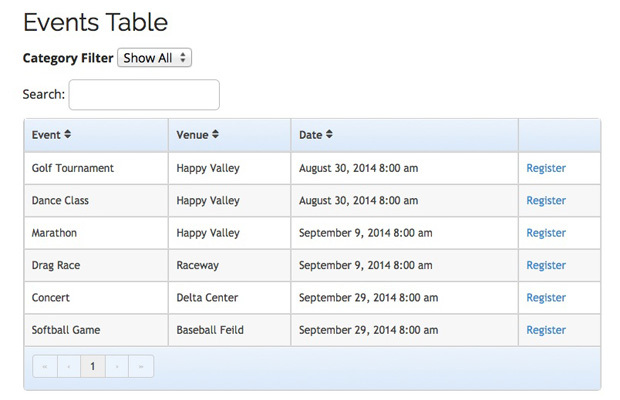 We’ve included the FooTable jQuery scripts in this add-on to help make your tables look great. I can’t exclude categories using the category parameter. The parameters for this add-on do not currently support excluding certain categories or using multiple categories at once (an array of categories). I’m still using Event Espresso 4.3. Can I still use this add-on? We recommend updating to the current version of Event Espresso. If you cannot update due to PHP 5.2, then you’ll need to switch out a template in this add-on. 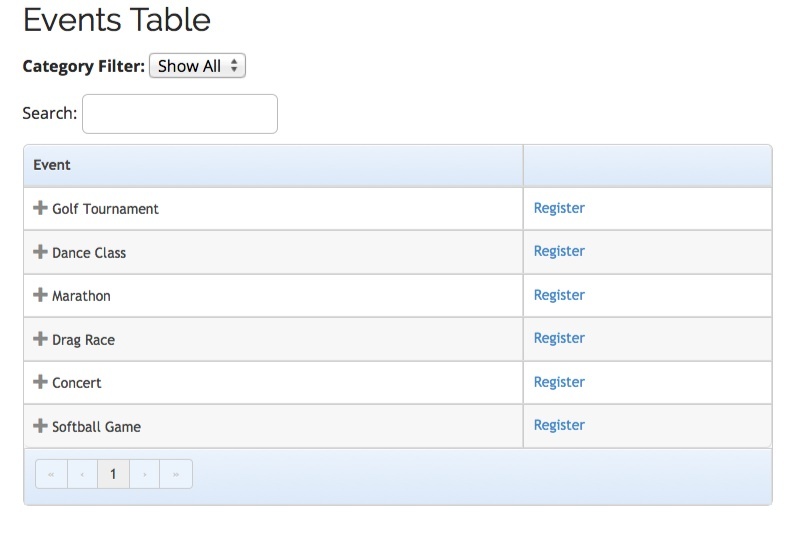 Replace the EES_Espresso_Events_Table_Template.shortcode.php with this older version. template from the plugin’s /templates/ folder into your WordPress theme. Then you can make customizations to your copy, and that template will be used when the [ESPRESSO_EVENTS_TABLE_TEMPLATE] shortcode is parsed. The “standalone” stylesheet loads by default, but it can be dequeued by adding this code to your theme’s functions.php file. This way the theme’s table styles will be applied to the table. Please be sure to set up a child theme before you begin to make theme modifications. When you keep your modifications within the child theme, it will preserve your changes should the theme need to be updated in the future.